Rachel Russo, one of NYC's top twelve matchmakers, serves up more than just a single's next dinner date. She's inspired a whole new Italian American movement of mending broken hearts and will reveal her secrets on February 5th at The Italian American Museum. It is all about moving forward--and never backward toward a stunad ex. Although there is never a universally good time for a breakup, a lot of people decide to dump their significant other just before the holidays. For the singles who’ve been dumped during the recent breakup season, and for the men and women who are about to get the boot just before Valentine’s Day, there is a NYC relationship expert with an unprecedented solution. 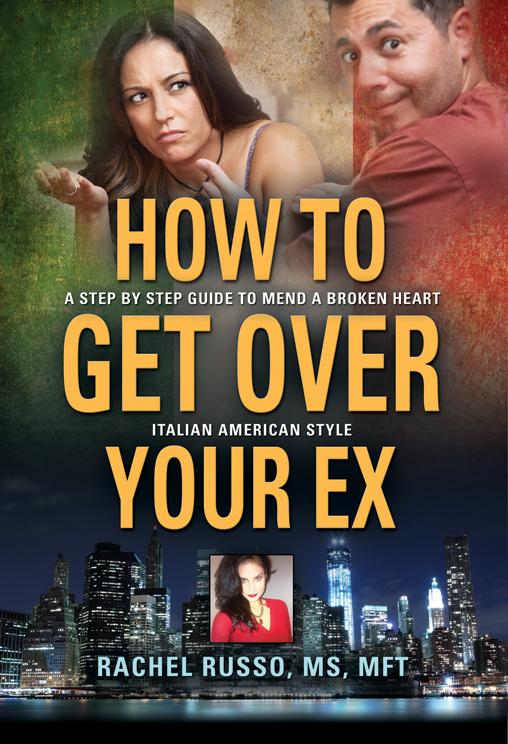 The Italian American Museum is hosting Rachel Russo, MS, MFT, one of NYC’s top twelve matchmakers of 2014 and the author of How To Get Over Your Ex: A Step By Step Guide To Mend A Broken Heart Italian American Style, on Thursday, February 5th, 2015 from 6:30-7:30PM. The Italian American Museum is located in the heart of “Little Italy,” 155 Mulberry Street, on the Southwest corner of Mulberry and Grand Streets. Released in March of last year, this Italian American author’s second book has maintained a solid five stars on Amazon and has attracted its share of praise, as well as media attention. Russo serves up a new Italian American way to get over a broken heart. It is all about moving forward--and never backward toward a “stunad” ex. One of Russo’s paesaons, “The Marriage Boss,” says, “You made me feel like we were out partying together and then sitting at the table at your mother’s house on Sunday. And everything in between!” Heavy on humor and without being short on tough love, this book has something for everyone. Rachel Russo will be autographing copies that will be available for purchase at The Italian American Museum, as well as giving a brief, interactive presentation on both how to get past heartbreak and how to find love--Italian American Style. She will offer a special Pre-Valentine’s Day gift to attendees. Admission is free. Italian American ethnicity optional. Rachel Russo, MS, MFT is a Dating & Relationship Coach, Matchmaker, Image Consultant, Author, and Speaker. With a master’s degree in Marriage & Family Therapy from Iona College, a BA in Psychology from Rutgers University, and a certification as an Intentional Relationship Coach, Rachel has worked in the dating industry for ten years. No stranger to using her own personal experience to help others with their love lives, Rachel once participated in a unique social research experiment in which she went on ninety-two dates in one year and blogged about them. From her media interviews on WGN Morning News to The Mancow Muller Show to Glamour Magazine, Rachel inspires singles and couples to love their love lives--no matter what their status. Offering personal introductions, specialized coaching, workshops, books, and much more, Rachel has perfected the art of helping people move from heartbreak to a new long-lasting love. According to Shelli Trung, Founder of 3six5dates.com, "Rachel is the "It" girl to watch out for in New York." DatingAdvice.com voted Rachel one of the top twelve best matchmakers in NYC in 2014.